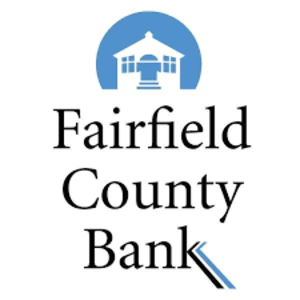 Fairfield County Bank recently donated $5,000 to SCORE to support the Western Connecticut Chapter’s free and confidential counseling for small businesses and startups. Employees at the Bank have become actively involved with SCORE and are working alongside the non-profit organization, the Ridgefield Library, and the Ridgefield Chamber of Commerce to bring a new series of workshops to the Library’s Skillsbox program. The series, Simple Steps for Starting Your Own Business, will be held at the Ridgefield Library, and it is designed to help entrepreneurs, home-based professionals, and small businesses to not only survive but thrive. Amy Britton, Vice President of Risk Management at Fairfield County Bank, recently became a mentor with SCORE where she helps businesses reach their goals by sharing her expertise. Monnie Newman, Assistant Branch Manager, and Debbie Przewlocki, Branch Manager, will be available to speak with attendees at the upcoming workshops and Daniel Berta, President of Fairfield County Bank, will also be available at a few of the sessions. On April 2, Michelle Luis, Small Business Manager, and James Whetzel, Vice President, both of Fairfield County Bank, will be presenting the workshop on Funding Sources/Conversations with Entrepreneurs. SCORE’s mission is to help aspiring and existing businesses succeed. SCORE is a national non-profit, and the services are free. SCORE provides business counseling, local workshops, and online resources. To learn more about SCORE, visit their website at SCORE.org. To learn more about the new series and the workshops dates and times, visit Fairfield County Bank’s website at FairfieldCountyBank.com/general-information/news-events/SmallBusinessWorkshopFlyer.pdf.